I love to hear from people who are crocheting my patterns. 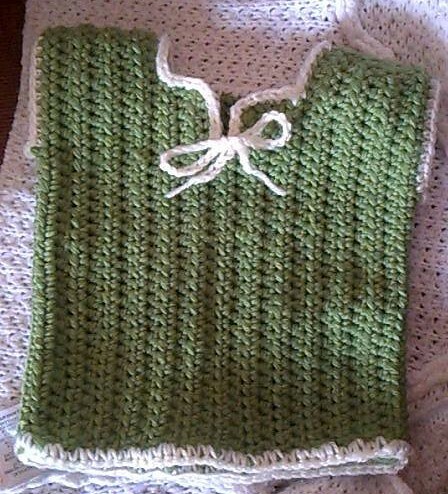 I especially love seeing photos and thought I’d share this cute newborn baby sweater that Freya crocheted. She used my Ana sweater design and crocheted her’s using the free newborn sweater pattern for the newborn baby size. Should you want a bigger sized sweater, here is the original Ana sweater pattern which fits a child 2-3 years old.